Do you have Jewellery to sell? 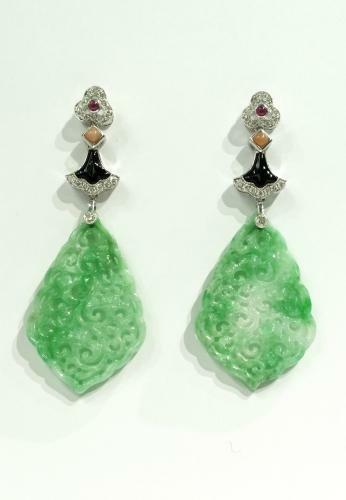 A pair of new Art Deco style drop earrings set with finely carved and pierced jade mounted in 18ct white gold with diamonds ruby, black onyx and coral. The jade untreated and of natural colour.